With its unique health-promoting nutrients, it's no wonder mangosteen is hailed in Asia as the "queen of fruits." 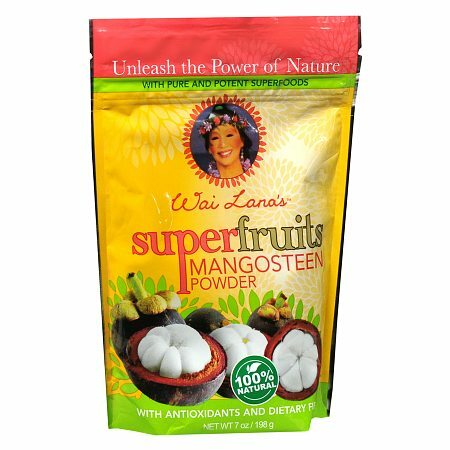 Our 100% pure, raw mangosteen powder is made from wild-harvested mangosteen, grown in the nutrient-rich jungles of Thailand. Mangosteen has been used for centuries to promote superior health and to help with an array of conditions. Mangosteen is nature's most abundant source of powerful antioxidants known as xanthones. Our commitment to perfection is evident in every step of bringing you these powerful super fruits. Our farmers use only sustainable growing methods – no chemical fertilizers, pesticides or GMO ingredients are ever used. Following careful harvesting and thorough cleansing, expert botanists meticulously examine and test the ripe fruit to ensure that the highest possible quality, purity and potency are consistently achieved. The fruit is then juiced, carefully dehydrated, and powdered to ensure maximum freshness. And, of course, there are never any sweeteners, artificial colors, flavors or preservatives added.